Being a non-foodie doesn't mean I hate food or that I cannot cook o. I cook. I have no allergies, I'm not a picky eater, and I can eat pretty much anything called food. What makes me a non-foodie is just the little or no show of interest. I'm not one who gets excited about food and its process of preparation. I'm not keen on following food reviews and blogs. The latest food trends or latest restaurants doesn't matter much to me. And I don't take pictures of my food as a creative prompt to post on social media. For now, I love to snack. Are you a non-foodie like me? Please let me know. Do you find it weird to not like food? Let me know that too. Lol. If you needed another reason to love avocados, it is good for your heart. They’re jam-packed with monounsaturated fatty acids, which help lower cholesterol levels and may help prevent blood clotting. They also contain potassium, which may help control blood pressure. For those who are keen on watching their weight, adding some avocado to your meal can satisfy you and help you maintain your food intake. Which in turn keeps your heart healthy in the long run. Aha! Who doesn't eat popcorn when they go to see a movie? Sorry. Not that kind of popcorn. For a healthy heart, you should eat unbuttered/unsweetened popcorn, seasoned with herbs. So I heard. Eating nuts every day decreases the risk of dying from heart disease by 29 percent. They contain unsaturated fats, which improve cholesterol by lowering “bad” cholesterol and raising the good type you need to stay healthy. Walnut, in particular, contain omega-3 fatty acids, which may prevent blood clots and the development of irregular heart rhythms. Nuts also contain the amino acid that helps ease blood flow. They are small but mighty like that! Pass me the bread, please! The "whole grain" bread and wheat bread works best. Whole grains are healthy carbs and thus, are heart healthy. I love that carrots are crunchy. The crunches are my favourite snacks. Carrot is a good companion in the kitchen. It can be used for salad, jollof rice, fried rice and stew. It is that nice. Generally, eating lots and lots of vegetables is healthy for your heart. I typically turn to oranges for cold prevention, this fruit is a great snack for your heart. Yay! More reasons to eat chocolate. Not that we need another reason to indulge in dark chocolate, but Cacao contains flavonoids (metabolites that promote healthy blood circulation and supple arteries) and polyphenols (antioxidants that reduce inflammation and risk of atherosclerosis). It's also a good source of magnesium, a mineral essential for normal heart function. Got that? When the urge for a snack strikes, pick from any of the above. Snacks can help keep your cardiovascular system in good form and even make it easier to maintain a healthy weight. It's not that bad after all. 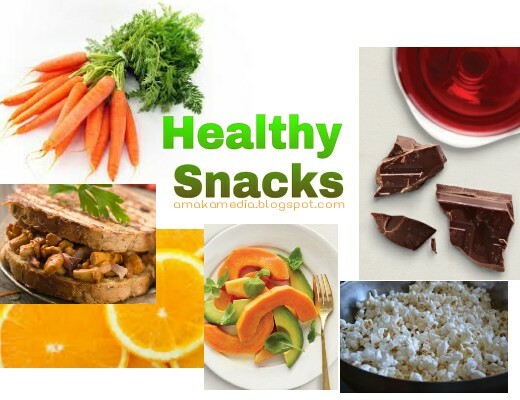 Sweetie, show your heart some love by snacking healthily. So yes, you can eat your cake and have it too! Tomorrow is Christmas Day. Yay! Feel free to share your thought in the comment box below. I'll be there to reply.